I threw out the post I penned for this Thanksgiving week. I’d written about how giving thanks while grieving helped me heal, but those thankful acknowledgments came from within me — not from others’ admonitions to be grateful for X, Y, or Z. And I wrote about ways the post-Thanksgiving frenzy of Black Friday shopping can be a grief trigger for many. But two events nudged me to change this post: the death of an elderly friend and the news of the school bus crash in Chattanooga. We all loved and will miss her, though in different ways. In spite of her age and recent health challenges, we all felt varying degrees of shock and disbelief. I recognized the expression of acute grief in Emily’s family members’ faces, remembering (a little too clearly) how I felt when my mother and grandmother died. My friend’s passing saddens me, and I will continue to miss her. But her family and closer friends will actively mourn her for as long as they have loved her. Which returns me to the second event prompting this altered post. Many hearts in Chattanooga and elsewhere will be thankful this Thanksgiving weekend as they rejoice in their little ones’ safety, but even that gratitude will be overshadowed by the knowledge of others’ suffering. My heartfelt condolences and prayers and thoughts go out to the families whose children were so abruptly taken from them. I cannot fathom the weight of grief and mourning in that community and within the walls of those homes. I have witnessed my friends’ acute pain in mourning their children, but I have not worn the soul-searing loss of a child, so I cannot truly understand it. I can only try, knowing nothing I do will make them feel better because nothing I do will restore their dear ones. I can’t fix their pain, but I can — I must — acknowledge it. After any loved one’s death, Thanksgiving as a holiday and thanksgiving as a practice are never the same. The holiday — with all its traditions — now carries the dark smear of absence. The practice — though healing — may seem impossible for a time likely to stretch beyond a single season (or year). Every life is precious. All souls deserve to be sung out of this world with love and tenderness as the sun sets on their presence. Heart-songs of mourning include gratitude for the good they did, the lives they touched, and the connections they shared. But those sweet overtones ring truest when honestly accompanied by the bitter, background disharmony of bereavement. If your friends are mourning this holiday season, listen as they share their gratitude for their loved ones. Openly share the reasons you thank heaven for their loved ones’ influence in your life. Wait! I promise this won’t be morose. Growing up, I thought my mother coined the phrase “attitude of gratitude.” After a rough day at school, she’d hug me and listen to every ranting word. She let me go on (and on) until I’d vented my frustrations. But then … (I’m smiling and shaking my head at my little-girl-self as I type this …) Then Mom always (and I mean always) said, “Now tell me three good things that happened.” She’d sit beside me, with patient stillness, until I’d squeezed three good things from my heart through my (sometimes clenched) reluctant lips. I’ve heard it said that you can’t feel badly while expressing gratitude, but through grief I’ve found that isn’t so. After Mom died, I felt simultaneous, deep gratitude for the time I spent with her — and despondency that there was no more time together. I felt grateful, humble joy that (of all the women on the planet) she was my mother — but I lamented over how few my almost-eight- and three-year-old daughters’ memories of their grandma would be and that my yet-unborn third child would not know her at all. I thanked heaven aloud and in my heart that Mom no longer suffered the indignities of cancer’s claws — while I sobbed over the gaping absence of her presence in our lives. Gratitude and Grief (which runs deeper than “sadness”) walked beside me, both holding my hands. A few hours after my husband’s sudden death, in the awful stillness that was yet hours ahead of dawn, on the darkest night of my existence, I opened a spiral notebook and began to write. That content is too personal, too sacred to share, but on those pages (starting, inexplicably, on the last page and working my way forward) I listed blessings, all the things I had to be thankful for, all “the good things” in my life. Doing so brought me forward into that day’s light. In the hours, days, weeks, months, and years that followed, those grateful truths have played a key role in my efforts to move forward through each day. Whether I spoke my grateful truths aloud, wrote them in my journal, or offered them in silent prayer, each soothed my aching a little more as I sent them out from the core of my soul. However, like so much of “recovery” from grief, their effective balm only worked applied in one direction. When others told me the same things, the same ideas rankled worse than driving the wrong way over the tire-piercing spikes in a parking lot exit. So please, please, don’t tell the bereaved what they have to be grateful for, unless they ask you to. As you comfort your friends through their grief this Thanksgiving, remember to listen with patient stillness. Let your grieving friends rant and vent. Then, after calm returns, gently invite them to share “three good things” from memories of their loved ones. I think they’ll be grateful you asked. I’d already begun drafting this post when I discovered the following article, geared more for the bereaved themselves than for those offering them your support. If you’re trying to understand what to say and do to help console grieving friends, family, classmates or coworkers, read it for yourself. Consider passing it along to them. Children’s Grief Awareness Day is November 21 this year. 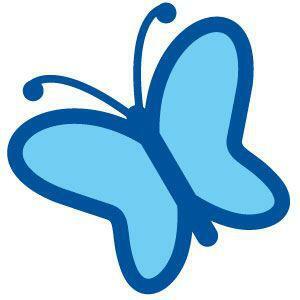 * Please wear blue to show your support for grieving children! Children grieve as deeply as adults, but they lack the maturity and experience to identify and put words to their feelings. Their needs and attention-demanding behaviors may be overlooked or misunderstood by their own surviving family members, friends, teachers or other school officials. “You’re the man [or lady] of the house now.” This is a cruel burden to place on a child, especially one who is grieving! “You need to take care of your [surviving parent or siblings] now.” While compassion for one’s family is worthwhile, the job of a child is to be a child, not a head of household. Children (especially older teens) will resent being told what they should do, especially if it is an area they are already considering on their own. “God needed him/her more than you did.” Really?! To grieving children, no one (especially not an all-powerful God) could “need” their loved ones more than they do! “God took him/her to heaven.” To very young children already facing traumatic upheaval, the notion of God (whom they cannot see) randomly “taking” people can be frightening rather than comforting. To older children, whose fledgling faith may be quavering in their bereavement, such statements can prick rebellion rather than consolation. Allow children’s immediate caretakers to address all faith-related aspects of grieving unless they specifically ask for your input. “At least you had your [parent, sibling, relative, friend] for X [years, months, days]. That’s longer than some …” Instead of acknowledging the significance of a child’s loss, this (and every other “at least” statement) demeans the reason the child is mourning. “Don’t cry” or “He/she wouldn’t want you to be sad.” Crying is an essential part of grieving, and sadness is a natural response to separation from loved ones. Suppressing such emotional expression can be harmful. “It’s okay to feel ____.” Fill in the blank with whatever emotions you see the child displaying. Naming the emotions will help the child identify and label otherwise overwhelming feelings. Being angry, sad, confused, frustrated, afraid, and resentful are all normal responses to grief. A child also needs “permission” to feel happy and optimistic about things, even while grieving. Experiencing and enjoying moments of play are an important part of processing difficult feelings! “Would you like to talk about your [friend, sibling, parent, grandparent, etc. ]?” Children take their behavioral cues from the adults around them. However, family members are likely to handle their collective grief in individual ways. The bereaved–including children–should never be forced to discuss their absent loved ones, but they should be offered opportunities to do so. *Children’s Grief Awareness Day is held the third Thursday each November (one week before Thanksgiving) as a way to build awareness for the special needs of grieving children, particularly during the holiday season. Typhoons. Tornadoes. Terrorism. Turmoil. Large-scale disasters all, impacting dozens, hundreds, thousands of souls. Life-shattering, publicly viewed, world-watched tragedies, displaying agonies of individuals: children, wives, husbands, parents, siblings, relatives, friends. I admit, I seldom watch the news. Not anymore. Not since my husband’s death. I know how grief feels. and I feel a degree of it. Large-scale grief-events require large-scale generosity and cooperation (to rebuild community infrastructure and provide day-to-day resources for residents to live on). They also require one-on-one generosity and compassion (to refashion–not rebuild–individual survivors’ lives). Please, as much as you are able, help. Donate time, money, or expertise. Give a little or give a lot, but please also give from your heart. Though emergencies have an impact on everyone, with Children’s Grief Awareness Day coming this week, please consider the affected children’s needs, too. Already grieving children (and parents) not directly touched by today’s tragedies will nevertheless feel for–and with–those who are.